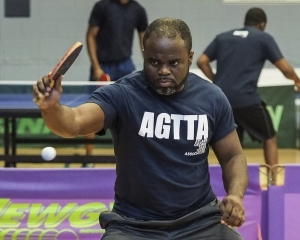 Click here to follow the AGTTA tournament schedule! 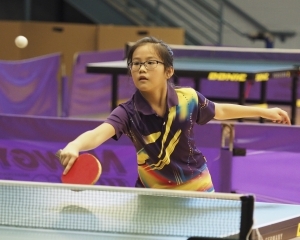 Also check OmniPong.com to register early!!! 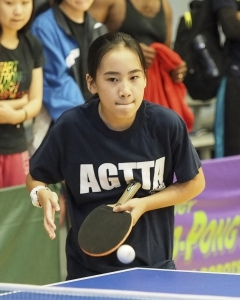 Click here to follow the AGTTA tournament schedule! 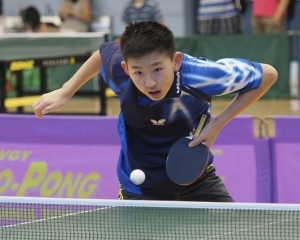 Also check OmniPong.com to register early!! !Click here to follow the AGTTA tournament schedule! 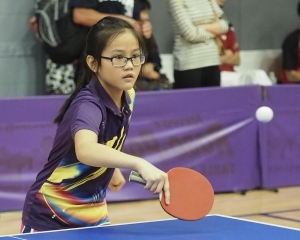 Also check OmniPong.com to register early!! !Click here to follow the AGTTA tournament schedule! 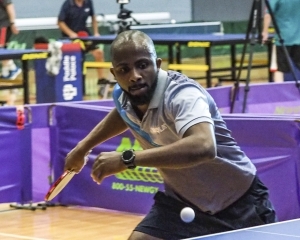 Also check OmniPong.com to register early!! !Click here to follow the AGTTA tournament schedule! 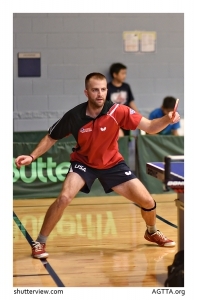 Also check OmniPong.com to register early!! !Click here to follow the AGTTA tournament schedule! 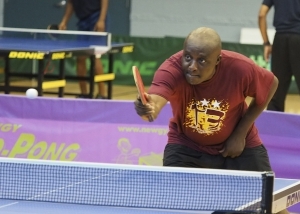 Also check OmniPong.com to register early!!!! Had a new event added for Novice players. Match, with Emmanuel prevailing in the end. A great match, enjoyed by all! You can watch the final here. 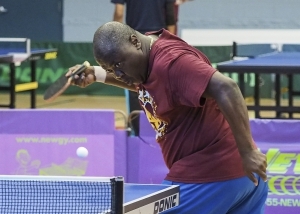 The Paddle Palace Winter Greater Round Robin was a rousing success on November 3rd. 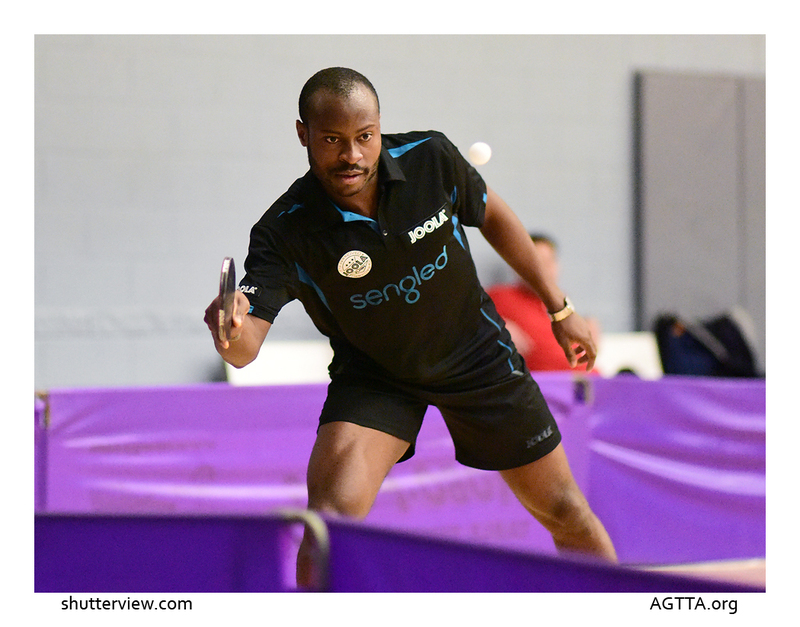 Oluwole Ayangade and Emmanuel Tuglo, local favorites gave the crowd of spectators a wonderful final Championship!!! View the video of the match here. AGTTA hosted our annual Fall Open tournament on September 9, 2017. 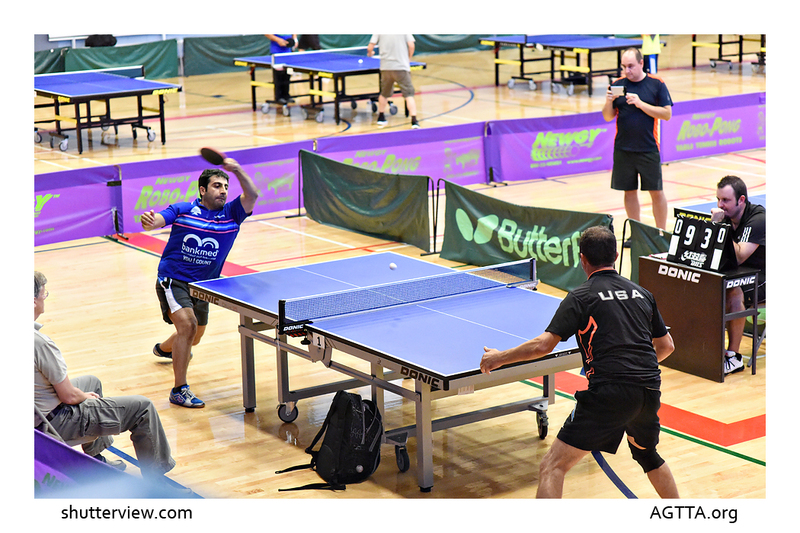 The Championship group was a very interesting competition with Rachid El BouBou, Senior Elite Coach of Triangle Table Tennis in Morrisville, NC, upsetting Atlanta International Table Tennis Academy’s Coach Shigang Yang in a thrilling Semi-Final match. 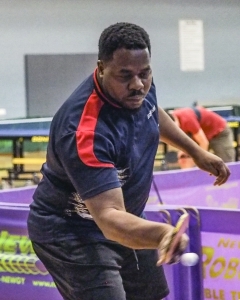 Eventual winner, AJ Carney, also of Triangle Table Tennis, defeated AGTTA’s Lead Coach, Petro Stirbu in the other Semi Final match before defeating El BouBou for the Championship. 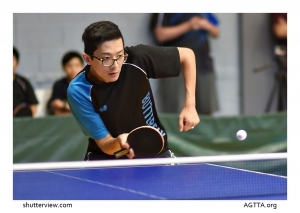 In other great matches the U2300, had two of our younger players, both from AITTA, Daniel Ng and Sabrina Zhu, dueling it out with Daniel Ng prevailing. Great matches and great sportsmanship, congratulations to all our winners, and competitors for a GREAT Fall Open! 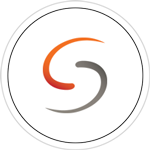 Check out our Tournaments page for frequent updates to events hosted by AGTTA. It was a pleasure to host this wonderful tournament. We look forward to having it again next year with an expanded format. 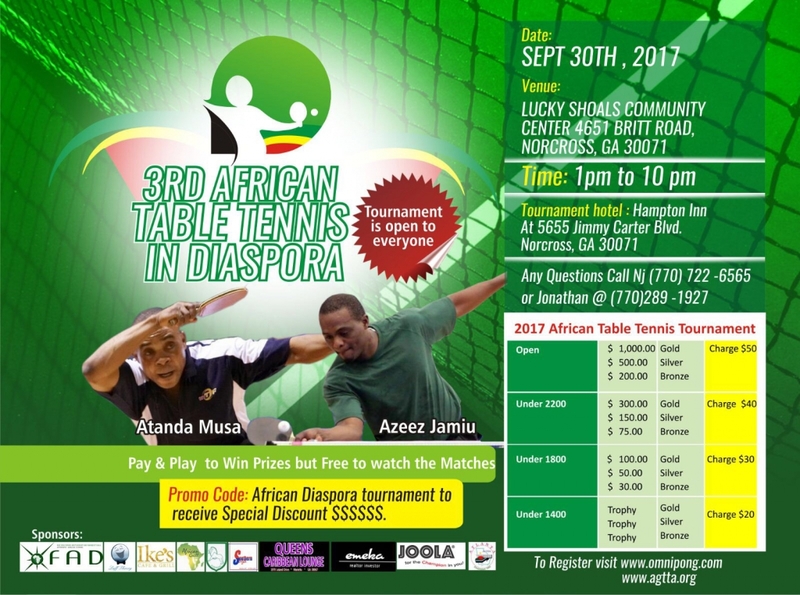 Highlights: this time we were happy to have Atanda Musa from Nigeria play and a number of players from all over the US as well. 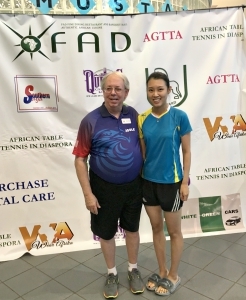 Di Yu, of Triangle Table Tennis was the eventual winner, with AJ Carney, also from Triangle Table Tennis becoming the Runner Up. Rachid El BouBou, finished 3rd, and Atanda Musa 4th. 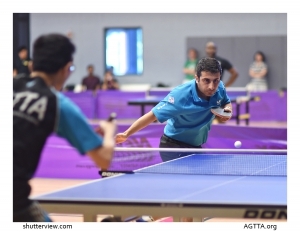 April 6, 2017 was World Table Tennis Day – on that day, AGTTA, Inc. kicked off our initiative to increase Table Tennis play in the world by sharing with you our fundraising page for a much needed facility in Atlanta, Georgia. 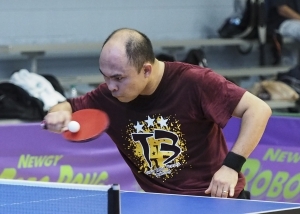 Please share our fundraising link and donate as you can, to help us bring World Table Tennis to life in Atlanta Georgia!!! Alberto Prieto, owner of Valor, is offering to anyone who pledges $150 or more to our fundraiser, a 35% discount on online orders (offer not to be combined with sales or other discounts). 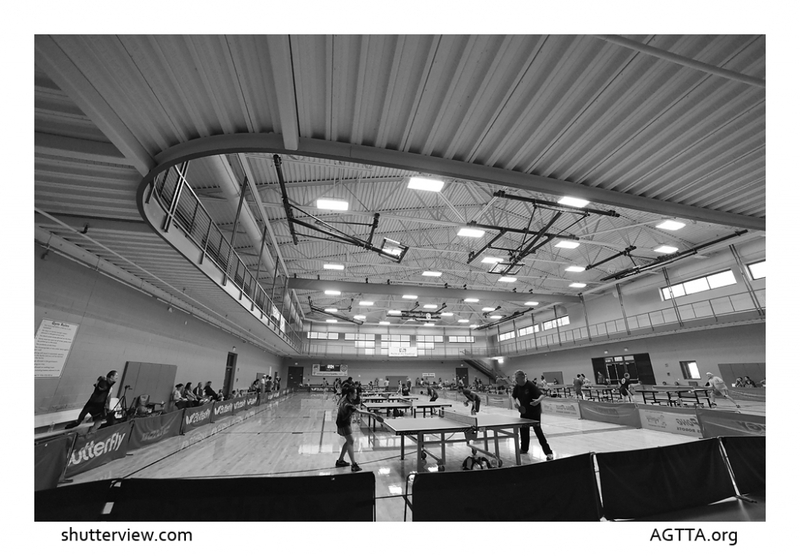 On November 5th, we held our popular GRR Tournament. 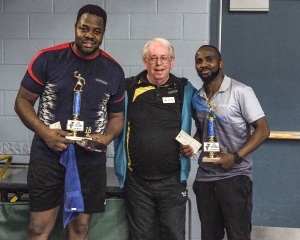 Congratulations to Rachid El Boubou, the winner of our championship division! Peter Stirbu came in second, Corey VanWagner in third, and Sean Brown finished fourth. Congratulations to Mississippi College for winning the championship! 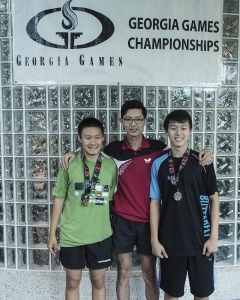 Georgia Tech placed second, University of Georgia was third. 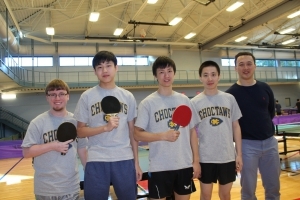 The MC team includes player Jeremy Gore of Arkansas, Qing Wei Sun, Yichi Zhang, Tong Zhang & Coach Cheng Li, all natives of China. 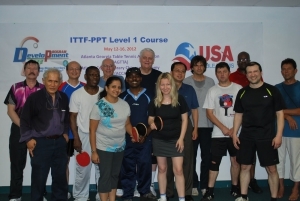 The Atlanta Table Tennis Open was much enjoyed by all participants! Thank you, to the organizers and players, for making it such a success! 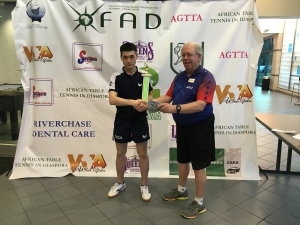 Click on the photo below to read an article highlighting this tournament on the USATT website. 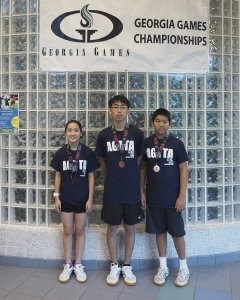 The NCTTA Division Championship, was hosted by AGTTA, Inc. in Atlanta, Ga. this Saturday. 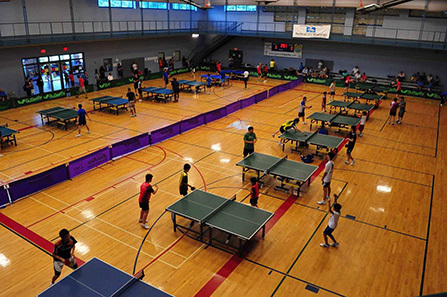 In cooperation with the NCTTA, AGTTA, Inc. is proud to host this Collegiate tournament free of charge for the second straight year. 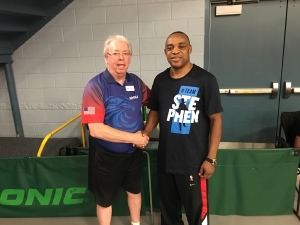 Brian Crisp, President of AGTTA, Inc. and Willy Lepaurlo, President of the NCTTA, work together, along with other NCTTA and AGTTA officials and members to hold this tournament. 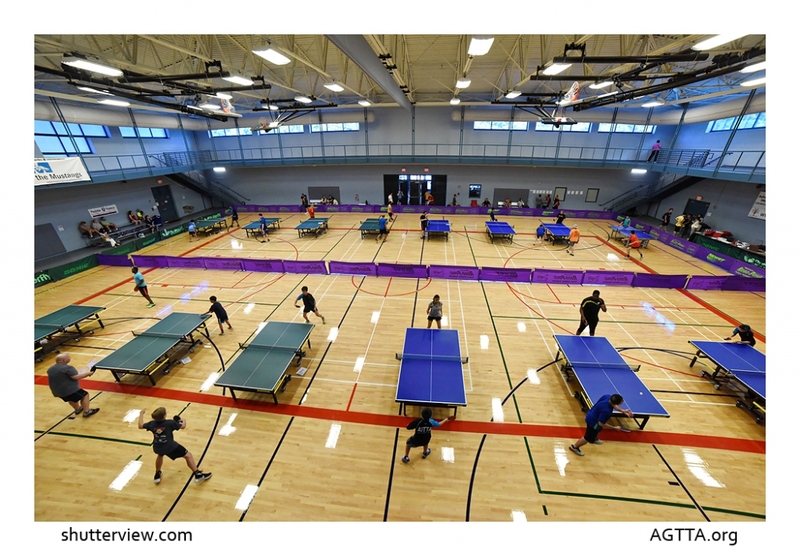 Brian said he would like to see other facilities throughout the country provide the same level of support to the NCTTA. Brian also points out that with the increasing awareness of the long term Mental and Physical benefits of Table Tennis, and the Team Building aspects, it just makes sense that AGTTA, should help college athletes participate in a great tournament environment in their BiAnnual event. He went on to say, he would like to see Corporate America support these efforts, as this sport improves mental performance and physical well being of employees. View this document for the whole article and photos. Photo credits to Andy Kanengiser of Mississippi College. 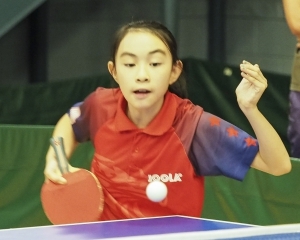 AGTTA’s friends Emilie Lin and Daniel Ng were selected to the USATT Junior Girls Team, and the USATT Mini Boys Team, respectively. Congratulations to both! 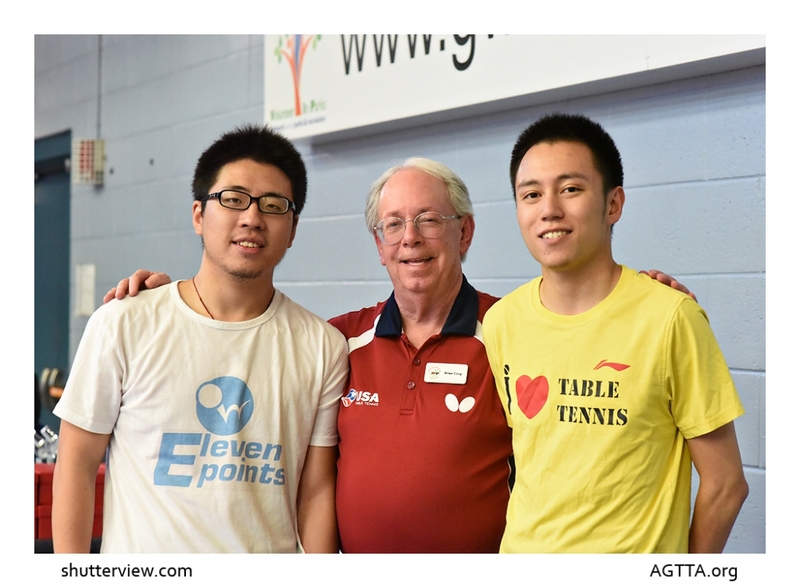 Eric Xie has become AGTTA’s Youth Director – glad to have him on our team! 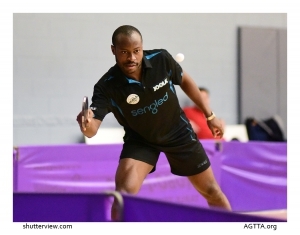 AGTTA is pleased to share a recent visit to our club on Tuesday, December 1, 2015 by current World # 50, Olympian, and ITTF 2015 Male Star of the Year, Quadri Aruna from Nigeria. 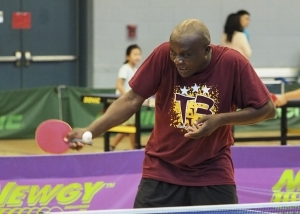 It was a real treat to have Quadri at our club and have some of our members play with him. Every Sunday afternoon, beginning at 1:30, AGTTA offers free group coaching. 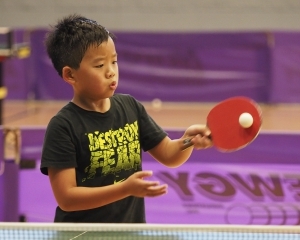 The free coaching program has become one of the most popular features of our club. 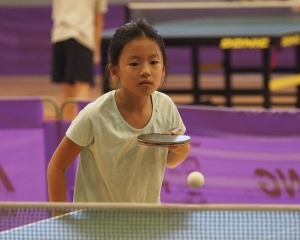 Classes geared toward juniors, beginner adults, and intermediate level players help our players develop their skills in a fun group setting. 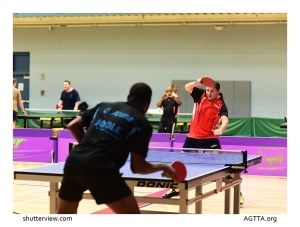 See our coaching page for information about our volunteer coaches. 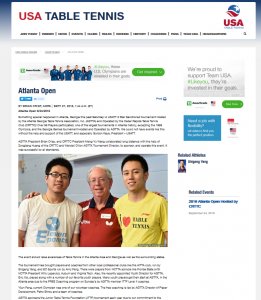 AGTTA and the Atlanta Contemporary Chinese Academy teamed up to host the first ITTF-PTT Level One coaching course held in the southeast part of the United States. Richard McAfee was our course instructor. He has taught this course all over the world. There were 13 participants, several of whom came from outside of Georgia. The course was extremely educational and fun. Thanks to everyone who helped bring this prestigious course to Georgia. You may have noticed the sign at the sign-in table on Tuesdays about using approved equipment and not using speed glue. AGTTA encourages all players to use approved equipment. We have a number of players who are not serving legally. If you are hiding the ball with your arm, not tossing the ball six inches, or lowering the ball below table level, you are not serving legally and you are getting an unfair advantage in games. Please make sure you are serving legally. Your fellow club members will greatly appreciate it. 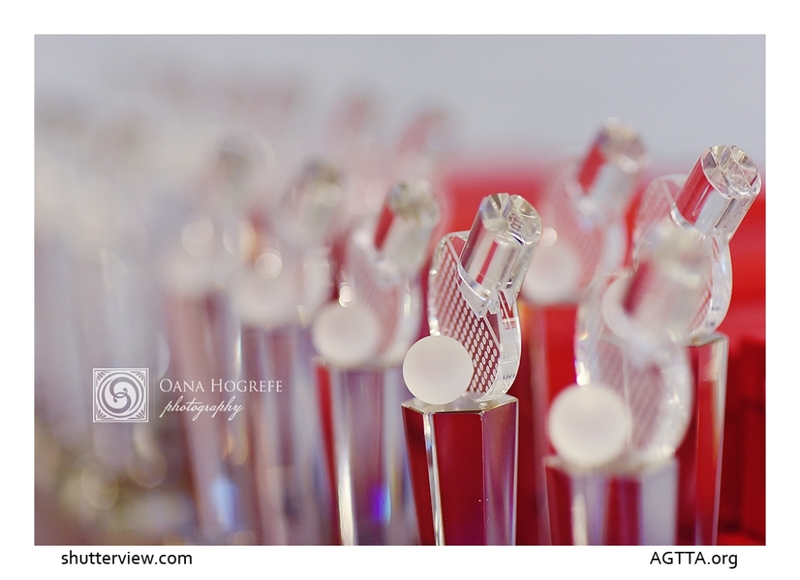 AGTTA is a nonprofit corporation that relies for the most part, on volunteers to run our club. We currently could use help in several areas. 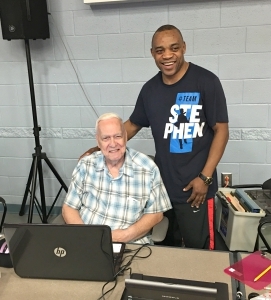 Volunteer coaches, photographers, media specialists, tournament helpers, marketing specialists, grant writers, assistant league directors, and coaching assistants are just a few of the jobs that we could use help with. 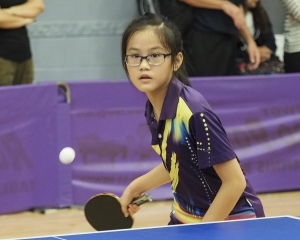 If you have a special skill that you feel could help our club, contact Brian Crisp at briancrisp@aol.com.